Microsoft has bolstered Power BI several times already since the business intelligence service became generally available in late July, but on Thursday it announced a particularly interesting partnership with Alteryx, provider of a platform for data blending and analytics. Alteryx offers a simple, drag-and-drop workflow and can accommodate many types of data. Its platform is designed to cleanse, transform and enrich data and then perform advanced predictive, statistical and spatial analytics. Now, thanks to the new partnership, users of the Alteryx Analytics 10.0 platform can output their data to Power BI for visualization and further analysis by a wide range of business users. Alteryx also offers in-database blending within SQL Server 2014, enabling data analysts to combine multiple sources of data within the database through its easy-to-use workflow. Data remains in the SQL Server environment and blending takes place there, Alteryx said, speeding the delivery of results. Alteryx now also integrates with Microsoft Azure Machine Learning Text Analytics capabilities to help analysts to understand the customer sentiment expressed in text data. Coming soon will be the ability to take advantage of cloud-based data for data blending and advanced analytics with Microsoft Azure, including Microsoft Azure SQL Data Warehouse and Microsoft Azure HDInsight. Future releases will also deliver deeper collaboration with Microsoft Azure Machine Learning, Alteryx said. Alteryx also enables users to blend SharePoint data with that from other sources through direct connectors, offering the ability to access and output data directly from and to SharePoint. 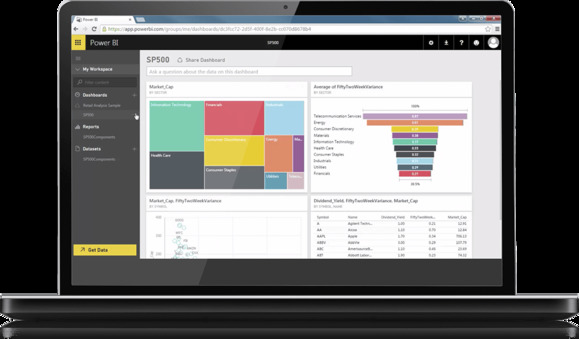 Power BI gained new competition this week in the form of QuickSight, a new business intelligence tool launched by Amazon at its AWS Re:Invent conference in Las Vegas.